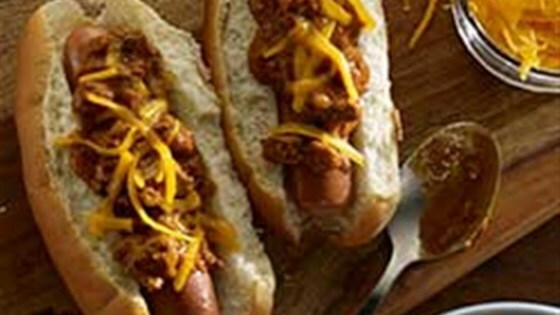 "Classic chili dogs with shredded cheese and sliced green onions are ready to eat in just minutes." Place franks in buns; spoon hot chili over franks. Top with cheese, and green onions, if desired. We've been eating these for years, but use hormel chili with beans. Always a fill in when forgetting to take something out for dinner. This is brilliant. You're the Elon Musk of cookery! It was soooo good. Can't wait to make this again.